Today’s guest poster is financial planner Neal Frankle, who writes about how his daughter got a great college education — and a wide network of contacts — for a fraction of the cost of an Ivy League school. If you’ve got your eyes set on a pricey school for your kids, this may help change your mind. Are you concerned about the astronomical cost of a college education? If so, I have some very good news. My daughter just finished her degree in Finance and received a world-class education for a fraction of what it would have cost had she attended an Ivy League school. Oh and by the way, she had a far better educational experience at the same time. Before she started college we learned that graduates of high-priced schools don’t necessarily earn more than state school grads. Still, we were concerned about the social scene at the state school. We knew that it was important for her to be around other high achieving students in order to keep her motivated and working hard. Fortunately, our daughter solved the problem herself. She got an expensive college education without the price tag. How? By becoming immersed in student government and an honors business fraternity (yes, the fraternity accepted both men and women). She learned that the students involved in these groups were highly motivated, uber-achievers, super responsible and strong role models. What more could any parent want? Most of what I learned in college wasn’t taught in class. My guess is that was your experience as well. My daughter flourished in college . And she had that successful experience because she set herself up to succeed from day one. My daughter told me that she never would have had the chutzpah to undertake student body politics and honors business organizations had she gone to an Ivy League school. That’s because she felt intimidated. The state school gave her more opportunity to do well than the pricier schools. Sometimes being a medium size fish in a small pond works out great. My daughter had to deliver even though she had great demands placed on her. She spent time with and learned from the best students on campus. She also has fantastic networking opportunities that will help her for years to come. As a result, she’s highly equipped to succeed in her professional life . And best of all, she doesn’t have any college debt to worry about. Neither do we. Before you decide on which school to send your children, take a look at the extra-curricular activities. Look for academic opportunities that your kid will feel comfortable getting involved in yet pushed at the same time. I am convinced that dollar-for-dollar, this is a far better way to go. 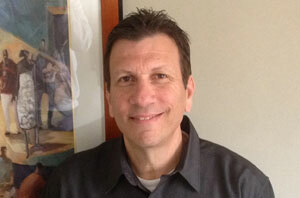 About Neal: Neal Frankle is a Certified Financial Planner in Los Angeles. He helps clients make smart financial decisions so they don’t have to worry about their future. He also is the editor for WealthPilgrim.com and MCMHA.org. He is a regular contributor to Forbes, Huffington Post and other mainstream media publications.